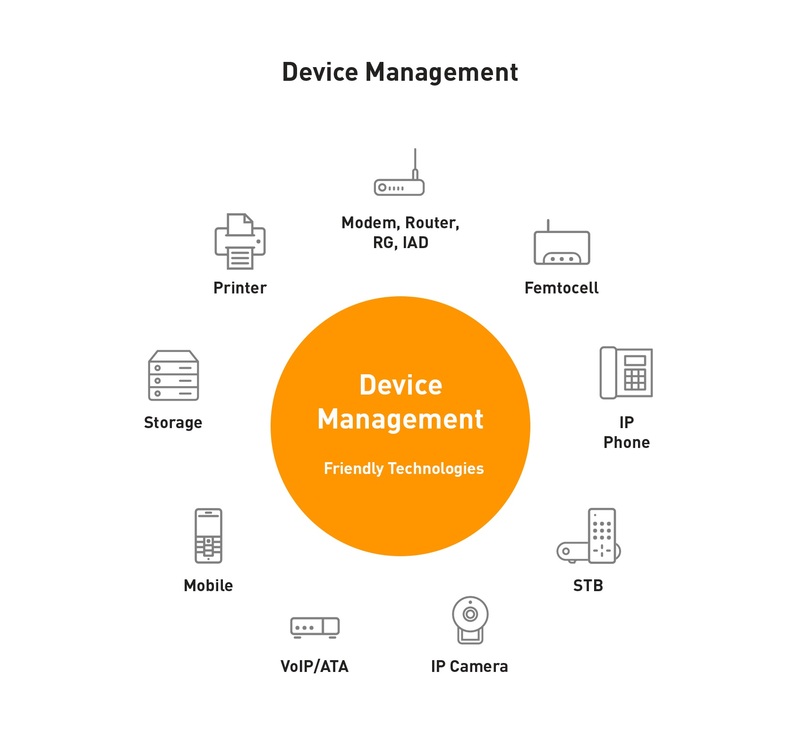 Friendly Technologies is a leading provider of carrier-class device management software for the IoT/M2M, Smart Home and Triple Play broadband services. Our “best-of-breed" approach enables service providers to manage multiple types of devices on one platform and avoid device dependency. 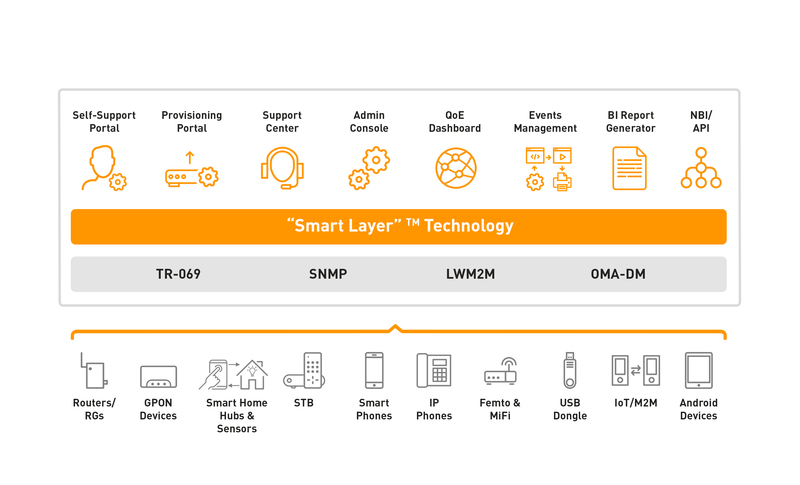 Friendly is using standard protocols, such as TR-069, OMA-DM, LWM2M, MQTT, SNMP and non-standard protocols as well. Suitable for the Internet of Things market, this client is designed to manage devices with limited CPU and memory and meet demands for energy savings. The OMA-DM embedded client is designed for device manufacturers and mobile carriers, and allows the deployment of embedded clients for device management and support—specifically for devices that run over a Linux/Android OS, such as dongles, gateways, 4G routers, healthcare and security devices, and cars. Friendly TR-069 Embedded Client is suitable for Telco, Smart Home and Internet of Things solutions. Test Your Devices' TR-069 Compatibility with One Click! Expedit time-to-market and avoid inter-operability problems that might affect your operations. In just a few minutes of automated comprehensible testing you can save hundreds of man hours of hard manual and frustrating work. Avoid unpleasant and hardly discoverable inter-operability surprises during or after the field installation stage. The solution is offered as SaaS or Stand-alone lab installation. Click here for a full list of features and tests. ©Copyright� Accelerated Technology Taiwan Corp. All rights reserved.